By LUDWIG VON KOOPA - The hidden secrets of Ludwig's game-playing past! I grew up with games like this. My (owned by Ludwig, not just the family at large) first videogame console otherwise was an NES. I only had Super Mario Bros., Duck Hunt, and World Class Track Meet on it. Common bundle, but I didn't have anything else on it, personally. (That's why I like Nintendo's tendency to port things.) See the rest of the family's possessions for other games, one of which was Super Mario Bros. 3 which was probably your first introduction to my family. ...I don't think it was a good impression. Speaking of first impressions, let's talk about a company called Man Crates. My first introduction to them was when a friend said she got a request from them to write about retro gaming nostalgia. 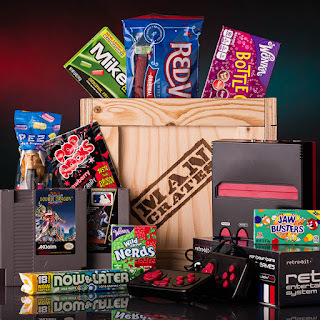 They're trying to sell this Retro Gamer Man Crate, basically a container you have to open with a crowbar to get goodies like sugary snacks and two NES games. ...So eventually, they found KoopaTV and gave us the same request. Well, sure! Reminder: KoopaTV does not endorse eating those snacks while playing games. I gotta say, for all the people (mostly the media) who complained about opening the New Nintendo 3DS XL's battery cover with a screwdriver, that's nothing compared to a crowbar! A fork is nothing compared to a crowbar, either. Ugh...I'LL GET THIS OPEN SOME DAY! I realised that I am not nostalgic for many of the games I've played in my childhood. When I look back at them now, I only see their flaws and think myself naive for liking them. That's why my reference pool for games is basically from 2001-2008. That's the time period for the games I reference over and over on KoopaTV! One game I thought would be an exception is Mario Party 3 on the Nintendo 64, but that actually still came out in 2001. That short theme is just such a powerful rush of nostalgia, though. It's like, a really awesome instrument with a really awesome set of notes. I would get into intense sessions of The Beat Goes On that just went on for several lines, and the generated music was cool. My strongest sense of nostalgia for a pre-2001 game comes from Backyard Baseball by Humongous Entertainment. The original 1997 release on the PC. Like, woah. That game helped shape my views on human diversity! Pablo Sanchez was amazing! The kids were great, and it even made me actually like baseball, which helped my fondness for Mario Superstar Baseball later on (2005). I liked the quotes (and repeated the quotes in real life) the kids had while playing, even if they might be grating as you play more and more. I even played baseball at a summer camp (and did terrible) and played baseball (with myself) in my backyard with my giant yellow plastic bat. I trained myself to be strong enough to hit the ball over the roof! (Miraculously it never landed on top of the roof and stayed there, and it never hit any windows!) There is a lot of content in Backyard Baseball and it's super iconic. I realise it may be boring to watch, but actually playing it is a whole other experience. And that's what should be important for game designers. Now we have this generation of designers where they design for YouTube audiences. Do you think you'll feel nostalgic for that years from now? I doubt it. Nostalgia comes from powerful experiences. To properly have nostalgia for a videogame, it needs to be the videogame itself that creates the nostalgia. If you're watching something on YouTube and you warmly reminisce on it twenty years later, are you thinking about the videogame? There are several variables it could really be, like the YouTube personality presenting it, or the dumb YouTube comments that you found classic. That also makes it difficult to pinpoint nostalgia for multiplayer games. Is it the game or the community? Then again, in the end, does it really matter if it's the game creating the nostalgia or the game allowing the nostalgia? Sure it matters. Game designers shouldn't hope for what is essentially a luck-based event that the game emerges and breaks-out to have a thriving community or whatever. It's hard enough just to get the game to sell. So yeah, work on the game itself. Memorable stuff. We're totally sure people will be nostalgic of Trayvon Tyson's Punch-Out!! just like they were nostalgic of the NES Mike Tyson's Punch-Out!! because it has what it takes. By RAWKHAWK2010 - Not many things get my nostalgia node stimulated quite like Pokémon. Between having a mafia-style hitlist of every student in the grade who didn't profess interest, to coming home and writing up fake Pokédex entries for my pet crawdad, it's one video-game franchise that could never seem to keep itself relegated to the realm of fantasy. Even today, when I meet a former presidential hopeful such as Herman Cain, I'm not asking him generic rubbish like "What inspired you?" or "Are you running in 2016? ", I'm asking him who his favorite Pokémon is! 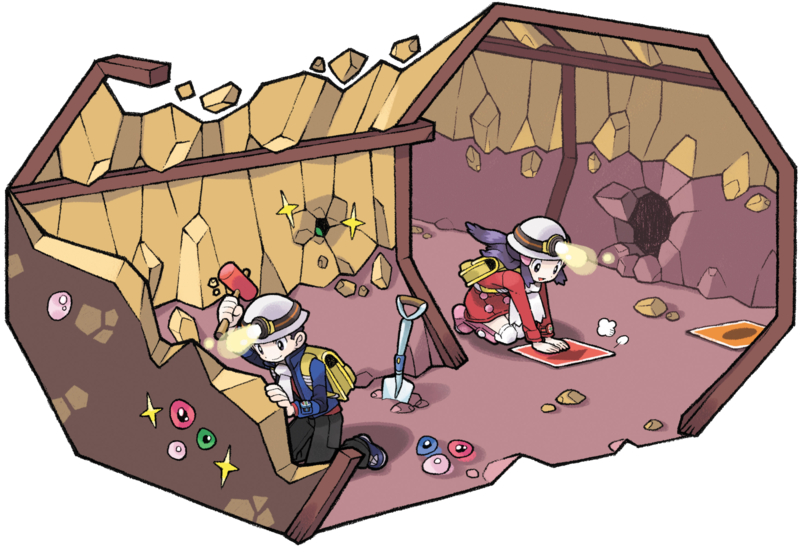 Even if the Sinnoh Underground did almost cause me to fail Spanish II. By KAMEK - I've actually recently had the pleasure of my own nostalgia trip. Like Rawk, Pokémon really hits me hard in the nostalgia bone. My trigger, however, is the music. The bits and bytes all culminate in an extraordinarily complex song that brings out powerful emotions in me. Cianwood being one of my favorites. Nostalgia is worth nothing unless you do something with it. With this in mind, when my younger siblings came of age, I prepared them both with a gift. Their very first Pokémon games (Black and White which were the latest at the time). It felt magical. It felt proper. It felt right. The passing of the tradition is a great feeling. I felt like a true Pokémon professor, even if I couldn't ask that age old question. By VORTEXICA - Unlike my colleagues, my fondest nostalgia concerns my pre-Nintendo days. I was first introduced to gaming by my two best friends, whose dad I can only assume bought them almost every game released back then. I'd go over there and play games all the time, either on (now ancient) DOS PCs or the (then new) PlayStation, and they rank amongst the most treasured memories of my childhood. If my nostalgia had a theme song, this would be it. Whether it was a case of simply watching Point 'n' Clicks like Maniac Mansion and Grim Fandango, or being charged with the Ctrl (fire) key in Doom and Duke Nukem, the thrill of this new pastime quickly took hold of me. To this day I still don't know what half the stuff I played actually was! As I said, the variety of games my friends had to sample seemed virtually endless. Gaming evoked a whole spectrum of emotions in me, and that was what sparked my passion. From frenzy and panic in games like Time Crisis and the "Swamps of Forgetfulness" level in the original Rayman, to despair in watching helplessly as Lemmings marched implacably to their demise. From mind-numbing frustration in Sonic & Knuckles, to the mind-numbing fear in Nightmare Creatures or running from Scrabs in the dark in Oddworld. From learning patience and strategy in Command & Conquer and laughing at the exploding sheep in Worms, to marvelling in awe at Tyrian's manic visuals and incredible soundtrack. One day I found a game about a little dragon racing around setting things on fire, and sometimes riding a skateboard (Spyro: Year of the Dragon*). That one experience, combined with discovering the antics of Crash Bandicoot, led me to finally take up this "video gaming" thing for myself. *We'll just put down the fact that I mistakenly bought the first Spyro game, which has absolutely no skateboarding whatsoever, as a temporary oversight. WELL, GOT THE CRATE OPEN! ...APPARENTLY IT HAD BOB-OMBS INSIDE! 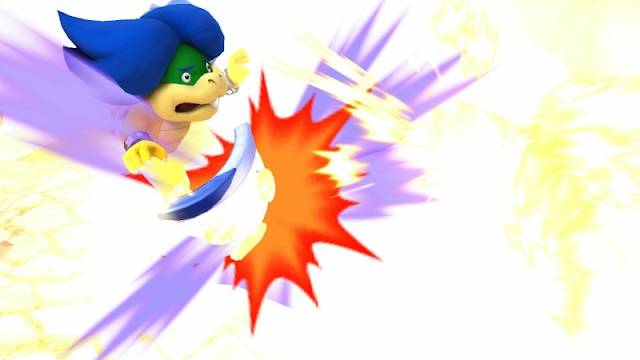 This is KoopaTV's 500th article. If you would like nostalgia for KoopaTV itself, wait for our two-year anniversary this May. 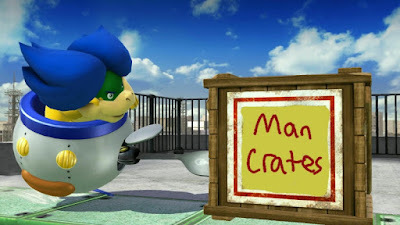 KoopaTV would like to thank Man Crates for stimulating powerful discussion and generating thought-provoking ideas within our staff chat. You can join the discussion in the comments! Man Crates reneged on their promise to promote this article, so KoopaTV recommends you stay away from their business. Ludwig isn't feeling the nostalgia for the NES, and seems to distrust bundles of NES games. Another company wants to know what game got Ludwig into gaming. Different answer than the one here! 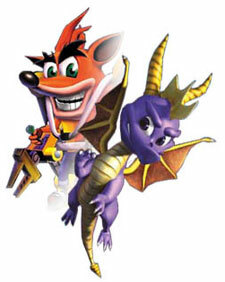 You all are making me even MORE nostalgic now, especially for Spyro. We got a demo disk in the mail for Ripto's Rage, and I played that demo over and over until I got the full game. Looking back on it, I wonder if that makes Ripto's Rage the first game I personally decided to buy. There seems to be a thing with the original Spyro trilogy getting people hooked for the first time. It happened with a few of my other friends too. I'd love to know just how many PlayStations were shifted by that series. Ripto's Rage (or Gateway to Glimmer as it's known here) I also have fond memories of, just not as much as the other two since I didn't know it even existed until a considerable time later. "A fork is nothing compared to a crowbar, either. Ugh...I'LL GET THIS OPEN SOME DAY!" But that's not a regular fork. Which is why the crate got opened in the end. ...Better use something that ain't meant for food.